For a long time I was stubbornly resistant to the idea of needing a gundog to be trained to the highest level it could be and perhaps there’s still a tiny part of me that will always remain so, rather like my chessies which is why I love them so much. However, I have found I enjoy the challenge of learning to train them in a way that they find fun and exciting and in doing so fulfilling their potential as working dogs in the future. 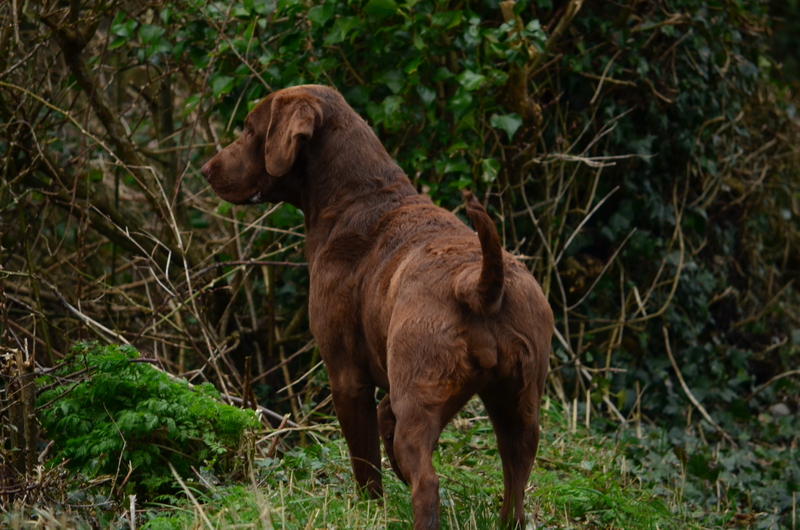 I have concentrated on getting a nice clean hand delivery with Uisce more so than I did with my previous dogs. It was always an aspect I let slide, preferring instead to concentrate on a nice prompt return. I have also found that by separating out the different aspects of a retrieve and working on each one to it’s conclusion Uisce has been able to maintain focus and momentum without flattening out. This can be a problem sometimes with chessies as they get bored easily with long repetitive training sessions. The sessions therefore have been shorter but more frequent something which I think has also helped in keeping her enthusiasm levels up. Keeping an enthusiastic chessie in training is key. After battling for the last few years with two pushy young male chessies it has been interesting to again work with the softer attitude of a female. Again something that I need to be conscious of when I move her forward to more challenges in training. Everything in her training so far has been geared towards building her confidence even the colour of the dummy which makes it easier for her to see when sent for a memory retrieve. 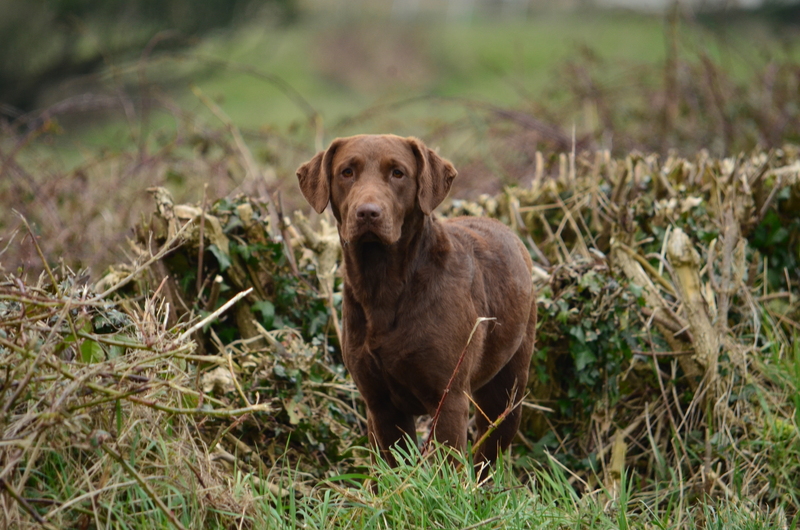 I have learnt much in the year since she was born thanks to the help and guidance from some wonderful gundog trainers, from watching competition work and from assessing my own dogs work and their attitude to it. I suppose the most valuable lesson I have learnt is that there is and never should be a time limit on how long it takes to train a dog, each will learn in their own way and in their own time. There are no mistakes just different ways of doing things. Enjoy your brown dogs everyone and make training fun! This entry was tagged editor, Gundog, publihers, short post, training, writing. Bookmark the permalink. ← Work AND Show can co-exist. Great pictures. I am always in a hurry to train and run tests. I really need to learn too that there isn’t a time frame, that there isn’t a race. The handler/trainer too can become bored and tetchy with long training sessions. I’ve always found it pleasant and productive – especially with a pup – to go out rambling and break the ramble with bits and pieces of work. On second thoughts that may be more advice on preserving one’s sanity than on good training methodology. Glad Uisce is working well. It’s a delight to read your blog updates, and sit there nodding in agreement!